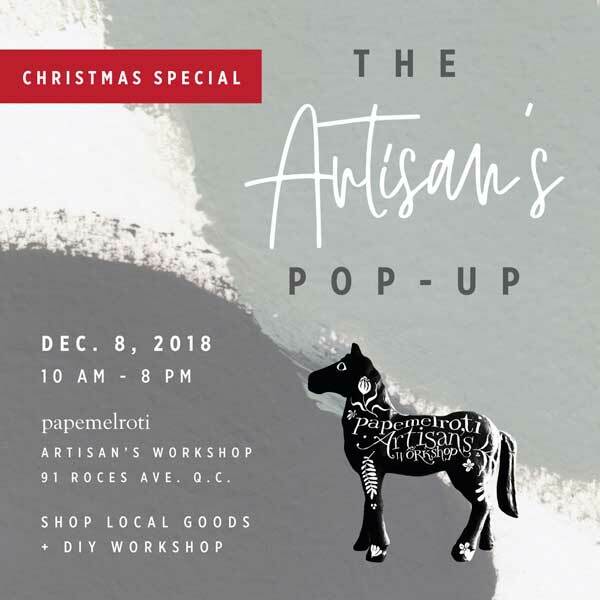 Join our first ever pop-up bazaar! We will have a select mix of guest brands and great products that are usually only available online. There will be something for everyone that day! Food and drinks, clothing, accessories, personal care items and other lifestyle products! Grab unique finds from our guest brands: Barks and Jars, Biblio, Candid Coffee, Five Flat, Hummus Be Crazy, Maricare All Natural, The Bamboo Company, The Daily Soak, Yarda, and more. You and your family can also join the workshop event at 10 AM on the same day!